How does Joint Soother work? There are several different varieties of Joint Soother, including a “Double Strength” and a “One A Day” version, but we focused on the “Triple Strength” version for this review. This particular formula contains a formula of ingredients meant to address joint issues from several angles. The first is addressing joint pain, with ingredients that are supposed to have anti-inflammatory and local anesthetic qualities. Other ingredients are intended to help restore and maintain cartilage strength, preventing unnecessary degradation of the joints and allowing them to operate at a high capacity. It also is intended to help with joint mobility and flexibility by restoring joint “cushions,” parts of joints that can cause pain and immobility when they grow stiffer. The supplement is gluten free, and has been coated with a special coating to make it easier to swallow. Top Benefits: Some of the main ingredients are popular choices for helping with joint pain and mobility, and they appear to come from all-natural sources. Negatives: Contains relatively few ingredients, customers have recently complained about how difficult the pills are to swallow, no vitamins or minerals included. For the finest supplements for joint health, click here. Joint Soother is made by Vitamin World, a health supplement company. Email: No email was provided, just a customer support form to be filled out. The product is available mainly on the company website, as well as on Amazon. For treating joint pain, we recommend this list of top supplements. The ingredients in Joint Soother are fairly common in natural joint health products. They derive mainly from seafood sources, such as shellfish and shrimp, with an additional herbal extract thrown in. The tablets are made from vegetarian-friendly ingredients, as opposed to some other products that are made with animal (usually bovine) gelatin to make up the capsules themselves. 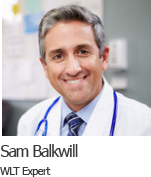 It is only intended to be used by people over the age of 18, and people who take blood thinners or women who are pregnant are advised to seek the advice of a medical professional before trying this product. Glucosamine HCL (Glucosamine hydrochloride): Generally extracted from shellfish or created artificially in a lab, this product is an amino sugar that is also produced in the human body. It forms a part of the “cushions” surrounding the joints, the deterioration of which creates the conditions for osteoarthritis. Adding glucosamine HCL is supposed to introduce more glucosamine into the joints so that people can keep this cushion strong, allowing the joints to move more easily. MSM (methylsulfonylmethane): This compound is supposed to keep muscles from damage during intense exercise. It’s also said to have beneficial antioxidant qualities that are supposed to prevent cellular degeneration in the knee joints. Chondroitin: This ingredient is integral to the production of cartilage, an important part of the joints, and is often put into joint health supplements. It’s supposed to be especially helpful for osteoarthritis, usually in combination with other ingredients to support its action. By promoting more cartilage production, this ingredient is supposed to to slow cartilage breakdown, which makes it especially useful for people who are older or have worn down their cartilage through excessive exercise. Citrus Bioflavonoids: Derived from citrus fruit rinds, these natural compounds are supposed to help assist the actions of vitamin C, and to reduce inflammation. Claims about their effectiveness are thought by some to be exaggerated, however, as the same effects and benefits observed in test tubes would not be seen in the human body, due to the fact that digestion would change these compounds into something totally different than what’s in plants. It’s a reminder that not every nutrient has a real effect on the body, because not every nutrient is absorbed into the body in the same way. Click here for a list of our choices for the Top Ten joint health products. What’s good about Joint Soother? The product contains mainly ingredients that are popular and widely-used in other joint health supplements as well, meaning they’re not trying to reinvent things or chart new waters when it comes to joint health. The fact that the main active ingredients are naturally-derived will please many people, since natural ingredients are perceived as being healthier and easier on the body than ones developed in laboratories. The serving size is only two pills, which is a reasonable amount to take and shows that the formula isn’t weak enough to require taking three or more pills every day, something which we’ve seen in other supplements like this one. These supplements could help you in maintaining optimum joint health. What’s bad about Joint Soother? Some of the ingredients in this formula don’t have as much science backing them up as the others. While glucosamine and chondroitin are popular ingredients for joint health, boswellia is not a sure thing. Despite some studies linking it with benefits in the area of inflammation, these have only been with unique formulations of it, and not attributable to the ingredient on the whole. There are also some side effects that could come from people using it, and given the existence of alternatives to boswellia that don’t have side effects, it’s a pity this company didn’t include them instead. There are not many ingredients in this product. While others have a dozen or more natural ingredients that all work together to address joint symptoms, this one only has a handful, meaning that it’s possible that it’s less effective than some others which contain more. This product also doesn’t contain any vitamin or mineral supplements that could help with inflammation, such as magnesium. Men and women can improve their joint health by trying one of these Top 10 supplements. What do customers think about Joint Soother? These supplements are the best at treating inflammation and pain in joints. 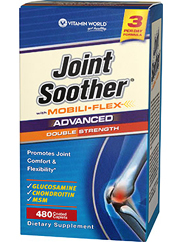 Joint Soother definitely has some things going for it, mainly the fact that it contains chondroitin and glucosamine, but that’s about it. Recently customers claim that the product is hard to swallow, much more than it used to be, and some others claim that the product doesn’t work at all. It contains some ingredients that have very little evidence of working, and its formula contains fewer overall ingredients than some others that we’ve reviewed, which could possibly make this a less effective product than those others. While some people have been pleased with how it’s helped them, we would recommend that people look at a variety of different products and compare them before deciding to go all-in on Joint Soother. 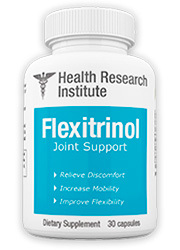 Of all the supplements out there that are intended to relieve joint paint naturally and restore joint mobility and function, the one we recommend is Flexitrinol. With its high-quality ingredients, its history of customer satisfaction, and its money back guarantee, it has continually stood out against the competition. Flexitrinol is among the best joint health supplements in terms of price, quality, and effectiveness, and has earned praise from customers and experts alike.